Welcome to the first post of my “New to GURPS” series. GURPS is a fantastically broad and simple tabletop RPG, one that can be used for all sorts of games while always maintaining the same elegant core. Spartan warriors, powerful wizards, anthropomorphic squirrels, high-flying superheroes, CIA agents, giant robot pilots, starship captains, alien hunters, and whatever else you want to play… GURPS can do it! It can, if you want, be the last RPG you ever have to learn. I assume you have found this page either because you have joined a GURPS game but have never played it before, or because you have heard of it and want to see what the fuss is about. My goal here is to provide a simple and easy-to-follow trail to learning about the system without assuming any prior knowledge on your part. * I want you to enjoy the game as much as I have for so many years, and understand that it isn’t any more complex than you want it to be or too hard to learn — it’s just fun. This is not, by any means, the one true way of approaching GURPS. Everyone has their own experiences, their own way of looking at things and learning. I’m simply sharing one way of many, a way that makes sense to me and hopefully resonates with at least some of those who are GURPS-curious. The only thing you need to start is a free copy of GURPS Lite (just click “Add To Crate,” then “Check Out,” to download the PDF. You will be prompted for an email address). This is an introduction to the system provided by Steve Jackson Games, at absolutely no cost, that distills the basic system into an even more basic 32 pages. Everything in GURPS Lite is 100% compatible with the GURPS Basic Set, so it is the perfect introduction and learning tool. Either read it through now, or just skim and keep it handy. 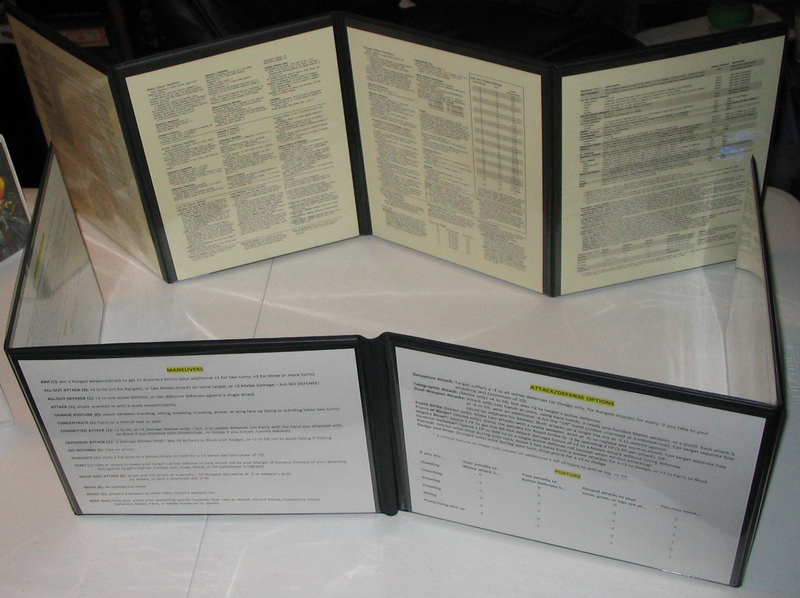 Once you have a copy of GURPS Lite… jump on in! 01 – Your First Character: Creating a simple character to use as an example for the first few installments. 02 – Your First Skill Checks: Using your character’s skills to affect the game world. 03 – Your First Skill Contests: Using your character’s skills when someone or something is opposing you. 04 – Your First Influence Rolls: Using your character’s influence skills to win friends and influence people. 05 – Your First Melee Combat: Walkthrough of a simple melee combat encounter. 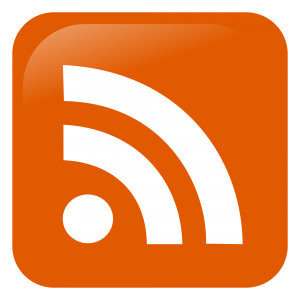 06 – Your First Ranged Combat: Walkthrough of a simple ranged combat encounter. 07 – Your First Recovery: Healing and recovering from injuries sustained. 08 – Your First Scene: A full scene, start to finish, including all of the above integrated into a loose narrative. 09 – Intermediate Character: Creating a more advanced character for use in the intermediate posts. 10 – Your First Spells: Introducing magic into the mix. 17 – Advanced Character: Creating a full-sheet character using the bulk of optional rules. 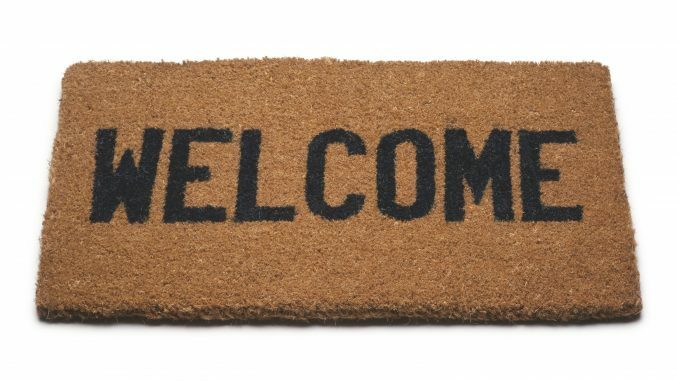 * These posts are primarily aimed at players new to the game. 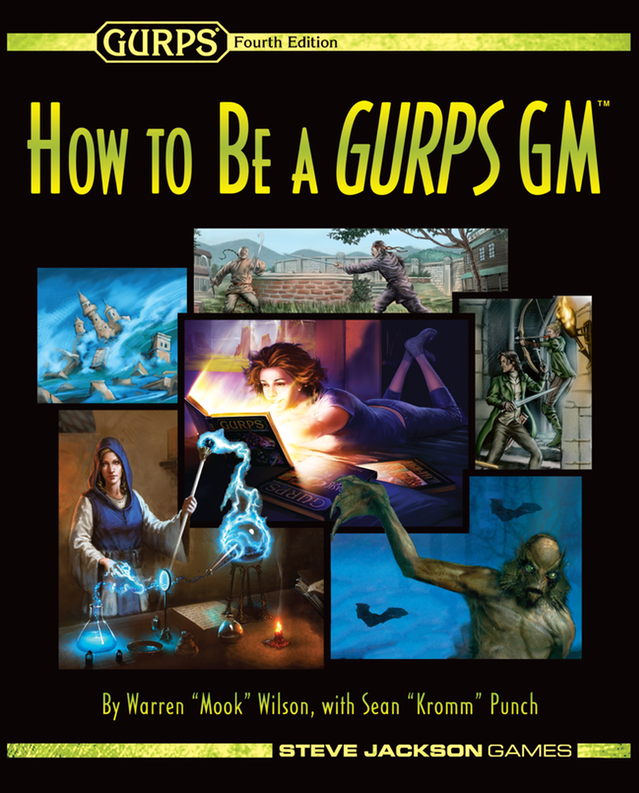 If you are a GM new to GURPS, I already wrote a book just for you called, “How to Be a GURPS GM“! If you enjoyed this post and others like it, might you consider supporting the Game Geekery Patreon? Thank you! I’m looking forward to the series. Andrew, I don’t see a new GURPS Lite likely anytime soon, but who knows? Could be (even more) awesome! Is “Intermediate Scene” going to be posted soon? I’m jonesing for my “Mook” GURPS fix! Oh, no! Poor Ezram… I’m sorry, I posted that three weeks ago but never updated this post to point to it! I just found your combat examples, and you are my hero for the day! Thank you. I’m a long-time RPG’er with other systems, but I’m tired of the imbalance that d20 gives, and have been interested to try out Gurps. Although the mechanics seem simple when reading, I wasn’t quite sure how it all works in practice without having examples like this (or creating characters and playtesting – but then there is still doubt as to whether I missed anything). Anyway – this is exactly what I needed. Thank you. Awesome, kirel, I hope you end up enjoying GURPS 🙂 You are exactly the audience in mind for most of what I post, I hope you find a lot of helpful info here! Are you working on the “Advanced” character example? I am curious to see what you can cook up with that grey stew of yours 8-). Hiya, Ezram! The “Advanced” section of the series is still alive, but waaay on the back burner. I feel like the audience for basic intro and casual GURPS material benefits more than that for the really complicated stuff, particularly since those folks are already well-versed in the complicated stuff. I do have a couple of examples that I tinker with from time to time, with really obscure things like hand grips and the like, so it’s always possible! Would love this and “GURPS grab-n-go” as a PDF!